Pictured are the new officers for the Upper Cumberland Human Resource Agency’s Board of Board of Directors and Policy Council. These officers were elected for 2011 during UCHRA’s Annual Meeting. Pictured from left to right: Curtis Hayes, Treasurer of the Board of Directors; Dale Reagan, Vice-Chairman of the Board of Directors; Shelvy Linville, Secretary of the Board of Directors; Michael Nesbitt, Chairman of the Board of Directors; Mike Foster, Chairman of the Policy Council; Mike Gannon, Vice-Chairman of the Policy Council; and Phyllis Bennett, UCHRA Executive Director. COOKEVILLE — “During the past year, Upper Cumberland Human Resource Agency’s Cannon County Office has provided services to 4,044 individuals with $1,045,799 being spent in the County. The UCHRA programs addresses the needs of all ages and has a positive impact on the residents in Cannon County,” stated County Executive Mike Gannon. The UCHRA provides services to the residents in the fourteen county Upper Cumberland Area through more than 68 programs supported by federal, state, and local dollars. The mission of the Agency is to assist individuals in moving from ‘dependence to independence’. “The Agency ‘delivers hope’ to approximately 166,000 individuals, annually, and continuously strives to make each of the Upper Cumberland Counties the best place possible to work, live, and retire,” said Phyllis Bennett, Upper Cumberland Human Resource Agency Executive Director. In Cannon County, approximately 26% of the dollars expended last year supported the following services: 16,058 nutritional meals were provided through the nutrition program for older persons and other adults with disabilities, and the commodities food program distributed food to 661 eligible individuals to be used to prepare meals at home. Three UCHRA transportation vehicles provided 5,168 trips to over 236 households enabling these individuals to go to the doctor, medical facilities, grocery and drug stores, and other business locations in the County. The fourteen county UCHRA transportation program runs approximately 2,818,617 miles in a given program year and the miles traveled transporting Cannon County residents to and from locations in the County accounts for approximately 4% of those miles. “These services are so important to the residents of the City of Woodbury and to Cannon County, especially in the difficult economic situation we have faced during the past year. 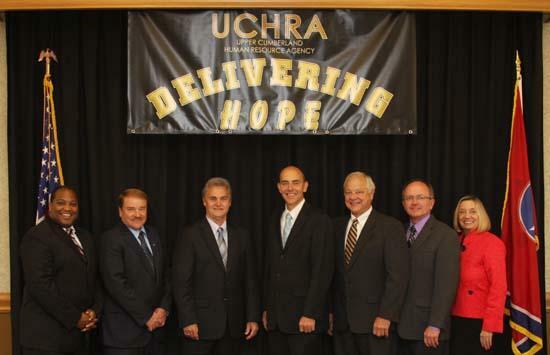 The City and County is fortunate to have a committed, dependable Agency like the UCHRA to contact to access quality services,” said Harold Patrick, Woodbury City Mayor. “The Upper Cumberland Human Resource Agency appreciates the work of the City and County officials in Cannon County, the Cannon County Advisory Committee for the UCHRA, and the UCHRA Cannon County Office Staff. 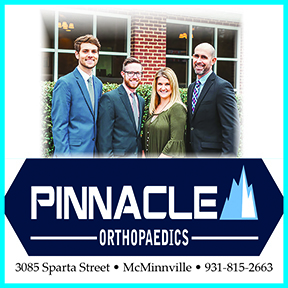 This team of local leaders, interested businesses and citizens makes it possible to provide quality services to the residents of Cannon County,” said Bennett. For further information about services available through the Upper Cumberland Human Resource Agency please contact UCHRA’s Cannon County Office at (615) 563-2916 located at 301 West Main Street, Room 302, Woodbury, TN 37190.